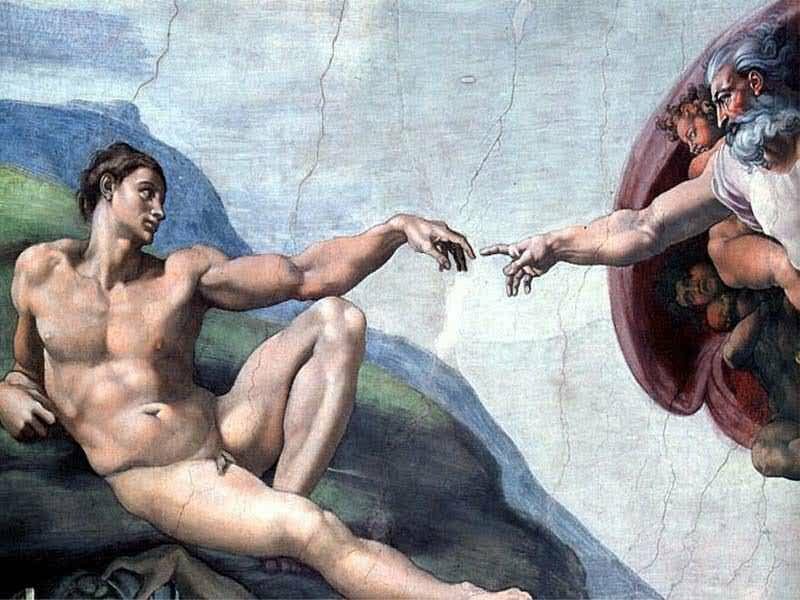 Is there room for a New God? We talk alot about Food Security here. That is the ability for everyone to procure the base required amount of calories and nutrients daily. But there is another looming threat to Food Security that has become increasingly widespread. It is called the Gene Revolution in which scientists are modifying the genetic structure of plants and animals with the goal of producing new strains that resist disease, agrochemicals, and pests or even thrive in areas watered with sea water. It sounds wonderful, but is it playing out that way? Right now in the State of California after a groundswell of citizens concerned with the safety of Genetically Modified Food (GMO) were able to gather enough petitions, a bill known as Proposition 37 is on the November state ballot and residents will decide some important issues about what they think is the responsibility of food manufacturers. The response from manufacturers of GMOs such as Monsanto, DuPont, Dow and even the makers of Americas favorite Heinz Ketchup has been to spend nearly 40 million dollars US to defeat this bill. What could be so threatening to these companies? The bill simply states that food containing GMOs be labeled. Of course there are numerous loop holes that would allow a measure of GMOS to be sold and used but it still has these companies running about like Chicken Little. Why does that seem unreasonable to the tune of 40,000,000 dollars US? And how does that affect us and the disadvantaged that Kozmoz works to help get a leg up? All of this really started in 1798, when a British scholar named Thomas Malthus published an essay called, 'And Essay on the Principle of Population'. This dooms day publication stated that at some time in the not too distant future that population would overwhelm the nation's ability to feed them causing disaster and widespread mortality bringing the population into check.. I am sure that many of us remember a school experiment in which we were instructed to put a cotton ball soaked in sugar water into the bottom of a test tube and add a few fruit flies after which the tube was capped creating a closed environment. Upon observation, the number of flies multiplied quickly and then as fast as they multiplied, they died of an apparent lack of food and disease. And that was our introduction to Malthusianism and the overwhelming importance of the availability of food. Well, thank God he was wrong and technology and many other factors conspired to put his theory to rest. 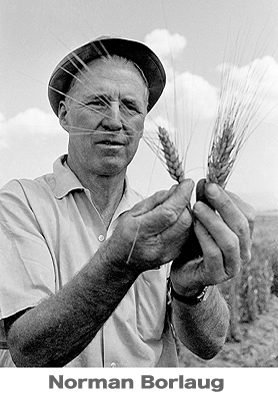 Furthermore, the Green Revolution of the 40's, led by giants of science such as Norman Borlaug, brought amazing increases of crop production. They did this by developing hybrids crops such as rice and wheat which were dwarfed… stubby little plants with more kernels and less stock. And low and behold, the crop yields increased enormously making Dr. Borlaug a hero and the Green Revolution was off n running. Which led to the Gene Revolution… but not all things that seem good are good… kind of like eating too many prunes… Super high in nutrition they are but a few too many and you will be skipping from bathroom to bathroom seeing your life quite negatively affected… Well, so too were things in the Green Revolution and the wonderful agricultural advances. It seems that the dwarf rice and wheat, though they produced more grain, they also were much more dependent on agrochemicals which led to research to genetically modify crops to be more resistant to pests and pesticides in order to create ever increasing crop yields. However, though it is a maturing field, crop yields are not up. In many cases, conventional farming techniques are out preforming agriculture based on agrochemicals and engineered seeds. Overall, today the use of agrochemicals has skyrocketed meaning even higher dependency on oil. Obviously, the growing use of these chemicals are of enormous concern to our environment and result in higher potential health risks for consumers. Yet the biggest unknown is the affect on the consumers from consuming the GMO (genetically modified organism) foods stocks themselves. What exactly are GMO crops? 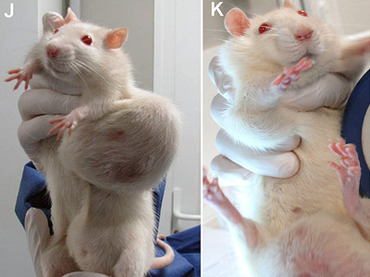 These are plants and animals that have been genetically modified. They have had genes added, or genes removed with the objective of changing the characteristics of the organism. One startling success of gene engineering is the Blue Rose that was created in collaboration between the Japanese superpower Suntory Corp. and the Australian research company Florigene. This technology is much different than the technology that has given us traditional hybrids by carefully cross pollinating and grafting giving us familiar plants such as peppermint, grapefruit, most modern wheat varieties, and delicious Fuji apples. GMOs are most commonly created by isolating genes that are suspected of being the cause of certain characteristics of living organisms and then inserting them into the genetic structure to add characteristics or interfere with naturally occurring characteristics. How extensive is this technology used in the food we eat? Various countries have various regulations concerning inclusion and marketing of GMOs, but one example is soybeans of which 93% US and 77% worldwide sales are of genetically modified varieties. This is in spite of bans on cultivation or importation of one way or another in US, Japan, Australia, New Zealand, Ireland, Germany, France, Austria, Greece, Hungary, Switzerland, India, Thailand… This sounds pretty inclusive but the loopholes in regulations make the US, India, Germany large producers. Bottom line is that the food you eat today, if you dont grow it yourself and make sure the seeds are not GMO, are heavily laden with GMOs. What are the concerns? Though genes are inserted or nullified based on what they appear to do, the overall function of individual genes is not known. Many genes not only affect simple characteristics but do so in a complex relations with many many other genes and the alteration of these relationships through trial and error can produce visible and measurable results that are seemingly positive but the entirety of the affect on the organism and long term health affects of the ingestion of these foods is unknown. It seems so positive and altruistic but there have been both a lack of long term studies on these affects, and disturbing problems arising both socially and health wise that have borne wide spread suspicion and opposition to the production and use of GMOs. What was so unique about this study is that number 1, the study is the longest term study available on the subject. And number 2, the trials were not conducted by the manufacturers such as Monsanto, Dow, and DuPont. This independent action has these companies up in arms claiming FOUL. However very few of the studies regarding safety of consumption have been more than 90 days and length and the vast majority have been sponsored and conducted by the manufacturers in request by various countries regarding the issue of safety of consumption. Of course as Mark Twain said, 'Liars figure and figures lie' but many nations and municipalities are taking this latest study serious enough to immediately suspend import and use of R-tolerant NK603 (Monsanto Corp., USA). At Kozmoz, we have been following these developments for years feeling as if playing 'God' with our food was one of the worst ideas we have ever heard in the long history of bad ideas. Though the data has been inconclusive and sparse, the fact that the manufacturers have long histories of criminal action and a wake of egregious health issues resulting from their business activities that range from a recent case of a class action suit brought by residents of Nitro West Virginia to the suit brought by the Foundation on Economic Trends and the National Family Farm Coalition in which according to the plaintiffs' complaint, a 1996 internal Monsanto document known as the "Maize Protection Business Plan" describes how Monsanto, DuPont, Dow Chemical, Novartis and AstraZeneca amongst others, formed a global cartel to monopolise and restrain trade in the GM seed market, effectively precluding additional competitors from entering the marketplace. One thing that we can do is to become informed and 'vote with our wallets'. Orginizations like the Non GMO Project are working to help us all be able to choose food products free of GMOs for our families. Should enough people make use of this information, we can directly influence even giant corporations by hitting their pocketbooks. Given the importance that food plays in our lives and in the fabric of the future that is being woven today, erring on the side of safety is the only rational choice that we as rational members of our communities can make. 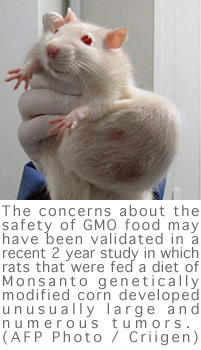 We support and immediate ban on all sales and use of GMOs and at the very least a requirement of labeling for ALL food products that indicates whether the food stock is GM, whether it includes any GM ingredients, and in the case of livestock if any of the feed consumed by animals was GM or if the animal itself was Genetically Modified without exception. There is simply no more fundamental right than to know what we are consuming.